With the new copy proof schemes introduced by DVD encryption technology, DVD ripping software flows have taken a leap to the next level of eye candy effects. For those medieval DVD ripping application pioneers like Handbrake, RipIt, and MacTheRipper, are being put to the test inevitably followed this trend. Here is a roundup of most popular DVD ripper for Mac to mainly focusing on comparison between RipIt and Handbrake. Free download the best DVD ripper to rip copy protected DVDs to AVI, MP4, MOV, WMV, etc on Mac and Win. Play any DVD movies on iPhone iPad Android easily. One of most significant indicator to be concerned for captious Mac DVD ripper, it is should be highly qualified to compete with others in high DVD ripping speed and the ability to decrypt/crack different DVD copy-protection algorithm. Handbrake is the least configurable of the lot in commercial DVDs, usually pops error message showing No Titiles found. Although Handbrake official site claims that the later version above 0.9.4 has ripping function to circumvent rip copy protected DVD, it doesn't work well in the latest released DVD wrapped in X-protect DRM. Alternatively, you can ask RipIt to rip many newer DVDs that include enhanced copy-protection technology. However, RipIt does not have any option to select certain features or chapters for extraction. It would be taken quite a bit of hard-drive space normally 6GB to 8GB, as opposed to 1.5GB or less when using Handbrake Mac. 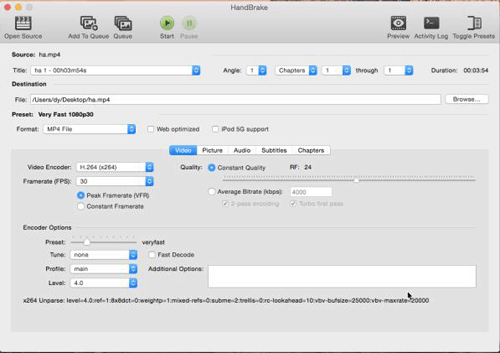 While both RipIt and Handbrake offer the ability to compress the DVD's content into various other formats directly while ripping, Handbrake performs superior with its built-in preset list of supported device targets. It includes a variety of presets, allowing you to apply Handbrake to rip DVD to specific devices and destinations—Apple TV, iPhone/iPod touch, QuickTime, and iPod High- and Low-Resolution, for example. Compress feature in RipIt allows you to instantly convert ripped data to the format of your choice like MP4, Apple TV and iPhone/iPod, but the whole compression seems a little slow. Testing on Apple TV preset, it took the program just over 57 minutes to rip a 2 hours length time film. In comparison, Handbrake did the same job in about 30 minutes. It is hard to say which is better comparing with RipIt and Handbrake. RipIt has the advantages that it's dead-simple to use and it capable of ripping just about any disc you throw at it. However, the ripping speed is not as fast as Handbrake do. As for Handbrake, one way around for new movie DVD releases with the latest copy-protection (99 title DVD mystery), you should tell Handbrake exactly which title you'd like to rip rather than entirely scanning the whole disc otherwise result in crash in the process. Aside from RipIt and Handbrake, a better alternative for RipIt or Handbrake is being challenged. MacX DVD Ripper Pro owns decent decrypting capability which is constantly upgraded to support the latest copy-protection schemes even the Disney X-project protection DVDs. 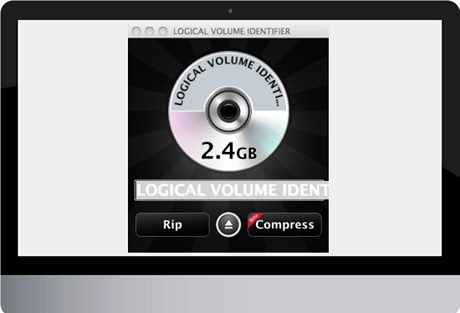 Infused with nearly 40+0 preset profiles, this DVD ripper for Mac features converting all DVD to iPhone 7/7 Plus/6/6+/5S/5C, iPad/Mini 4, Samsung Galaxy S6, HTC New One , Blackberry, PSP, PS3 etc. Built-in High Quality Engine and multithreading processing, this Mac DVD Ripper guarantees crisp output image and up to 36x real time converting speed. Warm note: if you want to play the ripped DVD content on your mobile devices, you can apply MacX MediaTrans to transfer videos from computer to iDevices. What's more, this file manager for iPhone also allows users to easily manage files on iPhone iPad iPod like music, photos, eBooks, ringtones and more. Are you seeking for a RipIt alternative Mac? Never mind, this tutorial will show you an alternative to RipIt, helping you easily rip DVD to iPhone, iPad compatible format on Mac, even Mac Lion. 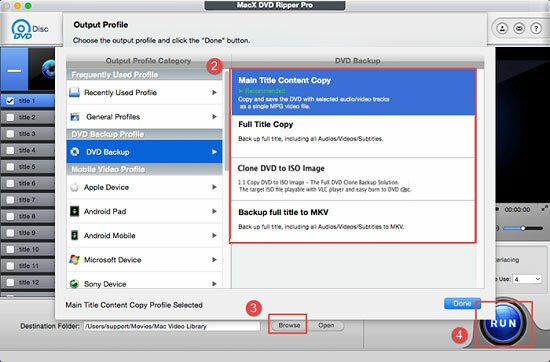 MacX DVD Ripper Pro, sought-after alternative to Handbrake and RipIt can easily rip any latest and encrypted DVDs to AVI, MP4, MOV, WMV, MKV, etc on Mac/Win for compatible with iPhone iPad Android devices by removing various copy protection.